Whether you are planning a bar or bat mitzvah, a family reunion, or a special birthday party, your choice of the Merion Tribute House will set your event apart. Since our ballroom is larger than those in many mansions, there is enough room for families, friends and children to celebrate and dance. The terrace can be tented, or the Legion Room closed off, to provide a separate area for children and their entertainment during the cocktail hour. Or an adult luncheon can take place in the Legion Room, while the children are entertained in the ballroom. 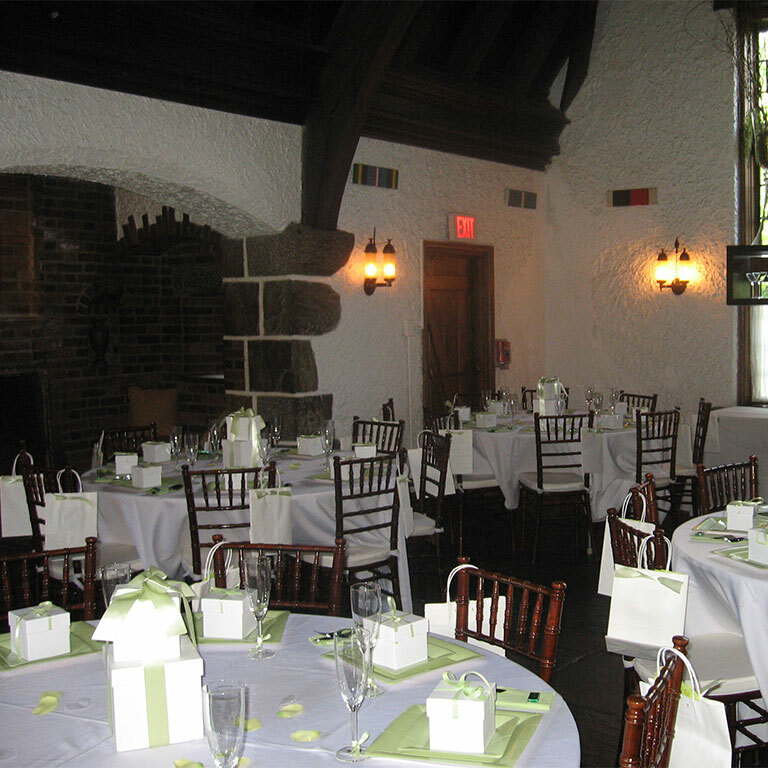 The Merion Tribute House is the perfect place for anniversary celebrations, memorial services, holiday parties, silent auctions and fundraisers. Rental of the front rooms may be possible for smaller events such as bridal and baby showers. It turned out to be the most glorious event in our lives. It was the most perfect, special, magical day of my life. And holding our celebration in the Merion Tribute House made the event elegant and cozy and beautiful to behold. I couldn't stop looking around and enjoying the beauty of the various rooms. Several of my guests also commented on the beauty of the Tribute House. It is a stunning venue. And your staff for the daytime and for the evening were wonderful. Thank you so much for providing the venue that made the adult luncheon and the boys' wild and crazy shindig so memorable for all of us! We would like to thank you for everything that you did to help make our event the success that it was. Your calm demeanor really allowed us to stay focused on the important stuff. We received many compliments about the Merion Tribute House's look, feel and grounds, and wouldn't hesitate to recommend it for any affair. Thank you so much again for your help! The party Saturday night worked out even more beautiful even I could've imagined. Everyone was asking about the history of MTH and our out-of-town guests that they felt like they were in England. 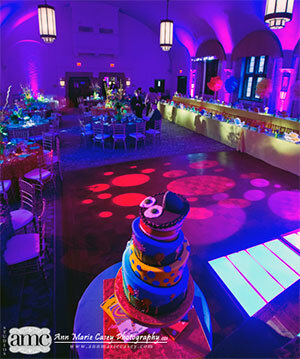 Guests couldn't rave enough about the spectacular venue.